Old English Sheepdog - puppies number 3468. 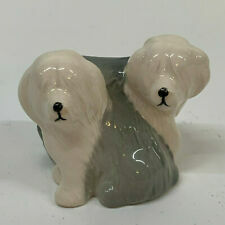 Beswick Ceramic Dog. Beswick Beatrix Potter's. Old Mr Brown BP 3c. weight 100g. Get Images that. with any aspect of the sale and I will reply with in 24 hours. This is not done intentionally to deceive anybody. I try to describe the item to the best of my ability but none of of us are perfect. John Beswick. 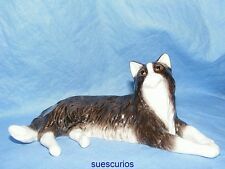 "Long Haired Cat Laying Down". BESWICK Otter Beneagles Scotch Whisky Miniature Decanter Bottle (EMPTY). Modelled by D. Lyttelton 1981, in excellent condition with no chips or cracks anywhere.